Many of us have hobbies beyond woodworking. 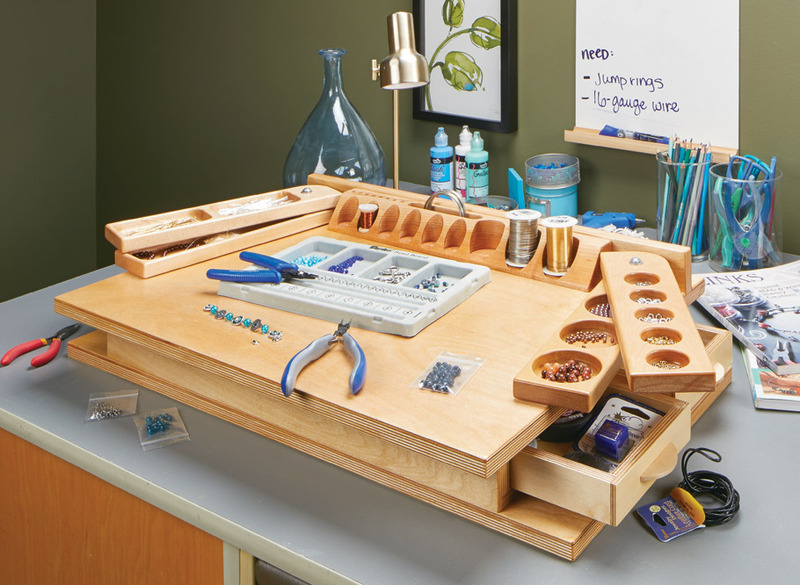 Whether it’s fly-tying, model making, or jewelry making, they all require a place to work. 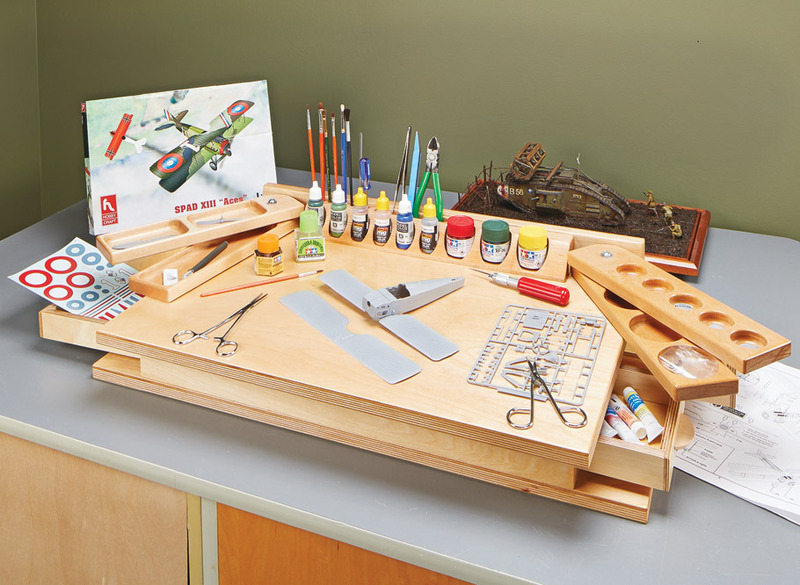 Providing that work area is where this hobby station wins the day. The main feature that attracted me to this project is that it’s portable. 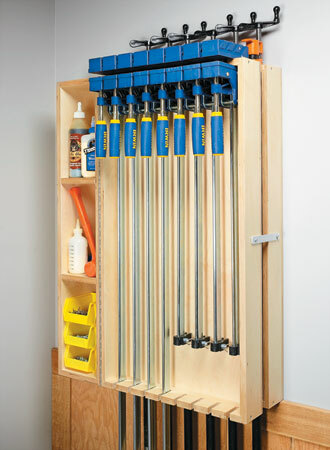 After you’re done working with it, you can simply close up the drawers and trays and store it away. That doesn’t mean it isn’t stable, however. 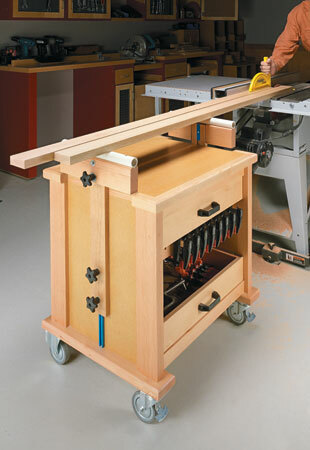 The wide footprint and large worksurface make this a rocksteady platform to work on. 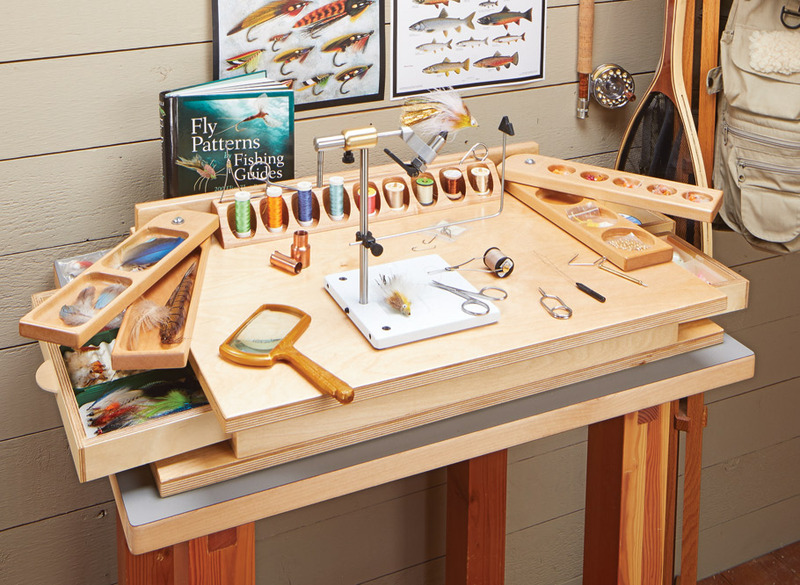 As someone who enjoys fly fishing and tying flies, I can appreciate that the storage on this station is geared to hold all those little parts and materials that you need close at hand while you’re working. But that doesn’t mean it’s only for fly tying. Any modler, jewelry maker, or crafter will enjoy this as well. 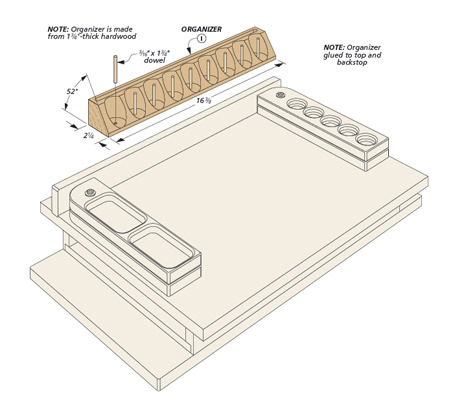 The four swingout trays have different sized recesses to hold a variety of items. 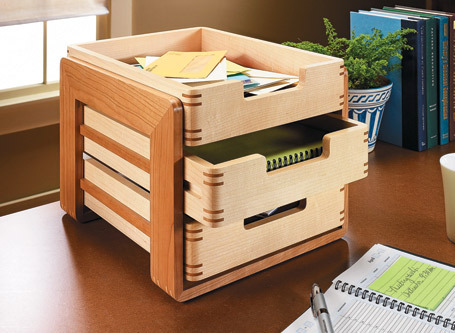 The organizer along the back can be customized to hold thread or other supplies and tools.